UK digital solutions manufacturer DiGiCo has now released V685, the latest software upgrade for its range of digital mixing consoles. 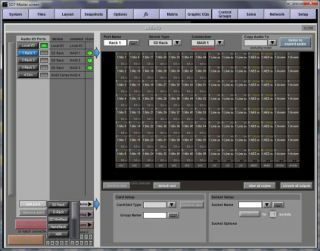 DiGiCo's proprietary Stealth Digital Processing allows for the new features with each new software version for live, broadcast and theatre applications. For theatrical environments, the Relative Faders in Cue Groups is now a Macro command; Auxes, Groups and Matrix channels can now be added to channel sets; and Channel Cues now defaults to showing names. And for broadcast applications, Backstop PFL is now functional on output busses, plus there is a new option on the SD7B and SD10B for Speaker Mute to do Dim. "Waves is happy to provide the increasing number of DiGiCo SoundGrid MultiRack users the added benefit of doubling their rack capacity," comments Mick Olesh, Waves EVP Sales and Marketing. "Increasing the number of racks provides DiGiCo SoundGrid users the capability of running 32 racks of Waves and third party plugins to their workflow."